Follow the State of Play of the 2014 Coca-Cola Queensland PGA Championship live from City Golf Club in Toowoomba. 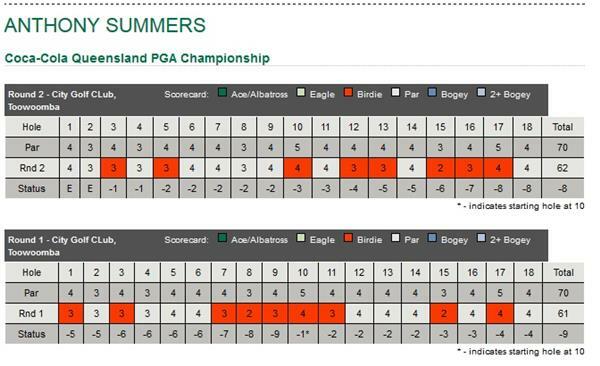 Great stuff from @summersshines to win #QLDPGA , a ripping bloke and deserving winner. Stephen Dartnall has fired a 7-under 63 in the second round to be outright fourth on 11-under the card. Playing in the same group the first two days, Gareth Paddison and Scott Strange are T5 on 9-under. They had scores of 5-under 65 and 6-under 64 respectively. The cut is predicted to be at 2-under the card. For all live scores please click here. 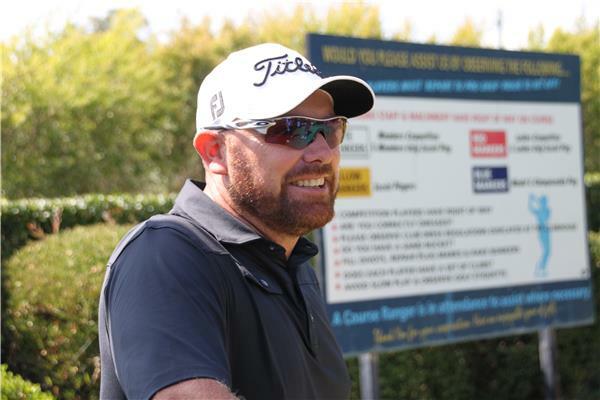 A proud Brisbane Lions fan, Matt Guyatt fired a 3-under in the second round to move safely inside the cut line. 17 birdies and no bogeys is getting the job done! Welcome to round 2 of the Coca-Cola Queensland PGA Championship. David Bransdon, Ryan Fox and Anthony Summers all start the day with a three shot lead. For all round 2 tee times please click here. To download our free iPhone app which includes scores, tee times and news please click here. Bransdon is looking on track to equal the course record at City Golf Club. He is 7-under after 12 holes and is bogey free so far today. He retains a two shot lead over Andrew Dodt. The first scores are starting to come through with plenty of players finding early birdies. Aaron Pike, Steve Jeffress, Jamie Arnold, Kim Felton, Pieter Zwart, Adam Blyth, Matthew Giles and Anthony Brown are all 1-under the card after their opening three holes. 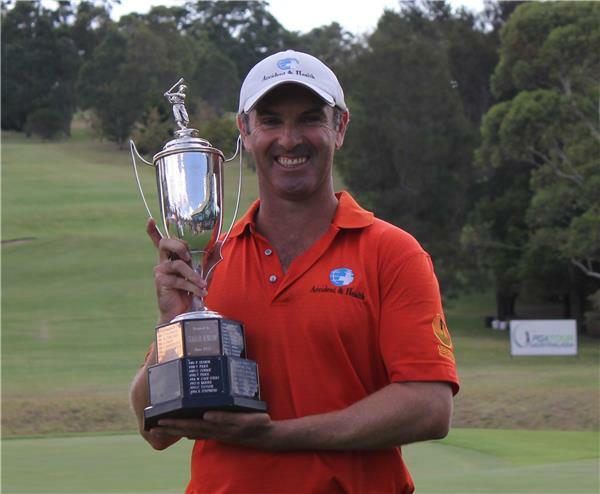 Jamie Arnold comes into this week fresh from a third place at the Lexus of Blackburn Victorian PGA Championship. Next on the 1st tee are Peter Welden (NSW), Peter Poposki (VIC) and Kota Kagasaki (JPN). For all tee times please click here.